THIS RESTAURANT CLOSED EFFECTIVE JULY 1, 2014. 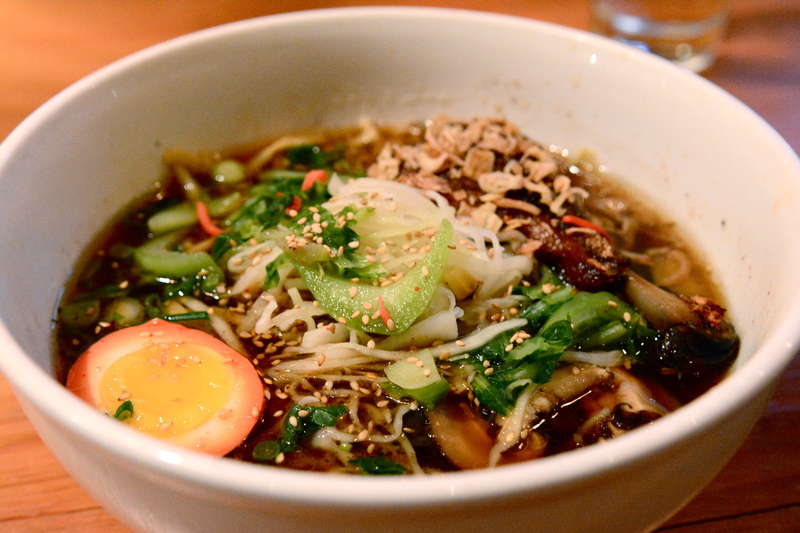 Pork is overplayed when it comes to the meat component in most ramen. Taan Noodles takes it to the next level by going with duck confit that falls right off the bone and into your broth. The Best Thing on the Menu: Taan Shoyu Duck Ramen also contains pickled cucumbers, dashi tomato, scallions, shiitake mushroom, spicy mustard greens, crispy shallots, taan hanjuku tamago (pink egg!) and bamboo shoots. Think fowl are foul? No problem, there are plenty of pork belly bowls to go around inside this Adams Morgan noodle shop. Like heat? They hook you up with togarashi spice flakes and spicy sesame oil, so you blast off your taste buds if that’s your thing. If you’re ravenous and in need of a snack before your bowl arrives, there are a handful of appetizers that pull from Japanese, Chinese and Thai cuisines. The best pick here? 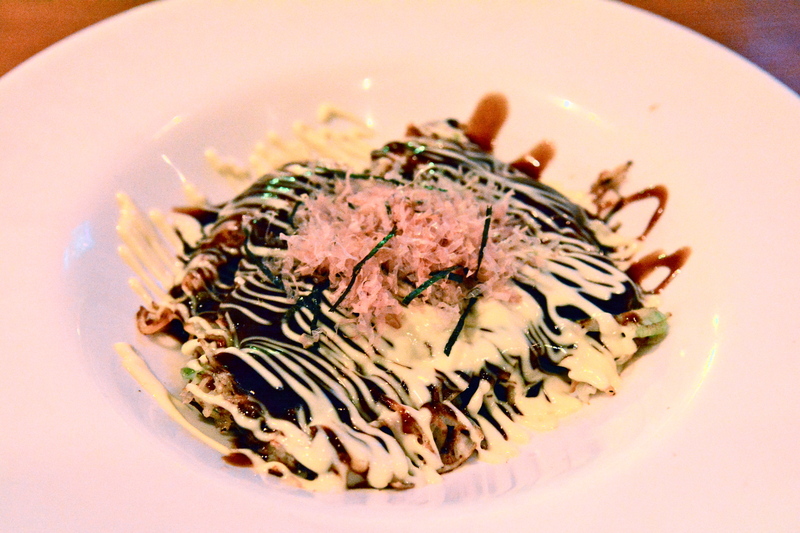 Japanese okonomiyaki, the traditional street food of Osaka. Having downed many of these fish pancakes from street carts in Osaka, I’m a tougher critic than normal. While the sauces were nailed (Japanese mayo and savory brown sauce) the fish to cabbage ratio could have been more generous. Daikaya has a cool take on this classic. Unlike their friends Sakuramen down the road, these folks have booze. More importantly, they have a lot of fun with their booze. We loved Second Place is not First Place (the perfect drink while watching the Olympics at the bar) made with Bulleit Bourbon, grapefruit juice, Barenjager and togarashi spice as well as There are Hippies in Asia – a tasty concoction of Nolet’s Gin, lavender vanilla simple syrup, tonic and lavender spice bitters. Taan Shoyu Duck Ramen not your BTM? Post your favorites in the comments section. Don’t miss a bite: Keep up with us on Facebook and Twitter. You might also like Toki Underground and Zentan.